Tawawa House in Modesto? A New Staging of Zenobia Perry’s Opera. Modesto California is not a common destination for new music productions but I learned of an upcoming performance of Tawawa House by Zenobia Powell Perry (1908-2004). It was written in 1984 and premiered in 1987 at Central State University in Wilberforce, Ohio (actually the geographic setting of this opera) where she was part of the music faculty from 1955-1982. I only learned of this performance due to my Facebook contact with Bill Doggett, a bay area business developer and marketing consultant who focuses on music by people of color. 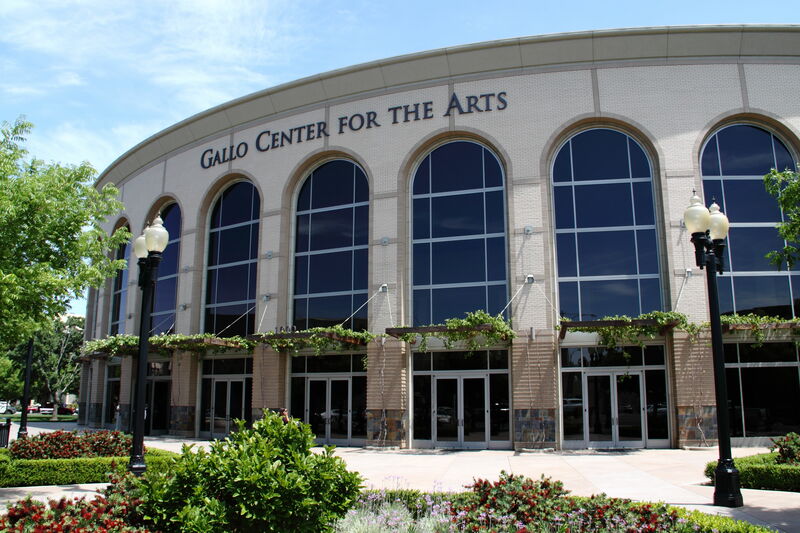 The production is staged by Townsend Opera at the Gallo Center for the Arts in Modesto, CA. 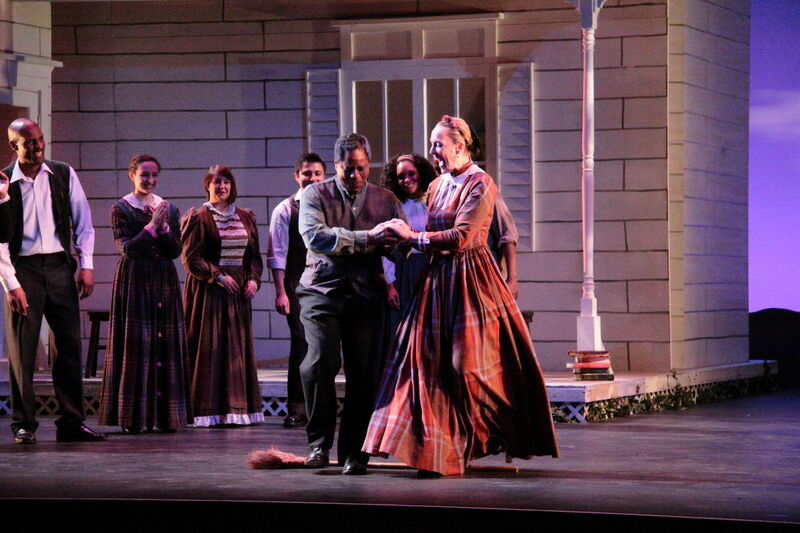 It was the world première of a revised libretto and orchestration by Perry scholar Jeannie Gayle Poole. After a mostly pleasant two-hour drive I arrived for my first visit to the central valley town. I located the beautiful arts complex and proceeded from a warm sunny spring day into one of several theaters housed in the same building, an arts multiplex, if you will. The theater was about 2/3 full, a good sign. It is a large and well-designed theater with great site lines, comfortable seats and a large fully equipped stage with a nicely nested orchestra pit. The program book listed other productions that Townsend has done and it is an impressive list. While they program popular standard repertory like La Boheme and Aida (no small feat) I did note that they have also done less frequently performed works such as Menotti’s Amahl and the Night Visitors and Offenbach;s Christopher Columbus. Under the direction of Matthew Buckman since 2008 this is their first world premiere and perhaps their most adventurous production. The staging (Heike Hambly), costumes (Tara Roe), lighting (Erik Vose), choreography (Erikka Reenstierna) and scenic design (Jean-Francois Revon) were excellent and well suited to what is essentially a chamber opera with spoken dialogue. The singers were simply amazing both in their vocal artistry and their acting and dancing abilities. The cast appeared quite comfortable with each other and clearly enjoyed what they were doing. The orchestra was most ably led by conductor Ryan Murray. This was a loving, beautiful production with amazing singers who appeared to put their hearts and souls along with their sizable talents to this opera. The spectacular vocal cast included baritone Lawrence Craig, tenor Anthony P. McGlaun, baritone V. Savoy McIlwain, soprano Leslie Sandefur, baritone Barry Robinson and soprano Shawnette Sulker along with supporting singers and chorus. These artists alone justified the price of a seat for this performance. 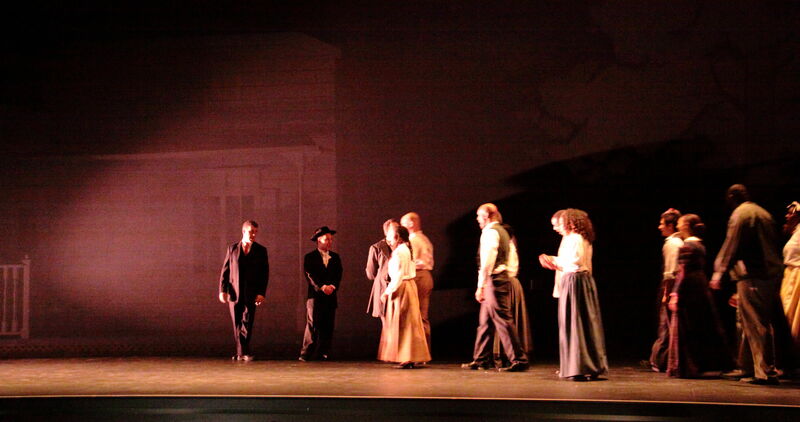 Dramatically staged scene from the second act. Tawawa House is based on a real place which existed in Ohio and served both as a luxury hotel for white visitors with purported healing waters as well as a major stop on the underground railroad with socially progressive whites assisting in the rescue of slaves from their forced servitude even before the emancipation proclamation. The story begins before the civil war and ends just after. It is a story nearly lost to history and one that deserves to be told. The joyful multiple weddings scene as one happy couple “jumps the broom” in a traditional practice of the era. As an opera it is cast in a conservative musical style relying on spirituals and popular songs of the era with some quotation of both genres. It consists of choral sections, a few arias and some ensemble singing. Like many operas this one suffers from a weak libretto at times which nonetheless serves to support the overall structure of the musical work. This is a gentle retelling of a tale from a sordid and shameful time in our collective history. The orchestration ranged from a theater orchestra style to some Hollywood-like film score that one might hear in motion pictures from the 1940s. I don’t know how this edition differed from the original 1987 performance or why the decision was made to revise it. The cast taking their first bow to the appreciative audience. It is difficult to say where this work will take its place in musical history but it certainly deserves to be revived. I hope that the success of this production will encourage adventurous opera companies such as Townsend to seek out other neglected works in that deserve revival and, in many cases, first performances. Despite some minor weaknesses the performance was very professionally executed, full of joy and clearly pleased the audience. After all theater goers are accustomed to the sometimes silly plots common to a lot of operas and musicals but they are seeking entertainment by talented performers and that is definitely what they got. This was a wonderful production which now puts Townsend opera on my radar. Looking forward to more from this company. Congratulations on a great show!